Presence of spheric red blood cells in the blood. /sphe·ro·cy·to·sis/ (sfēr″o-si-to´sis) the presence of spherocytes in the blood. the abnormal presence of spherocytes in the blood. Compare elliptocytosis. Congenital spherocytic anemia, congenital spherocytosis, hereditary spherocytosis, spherocytic anemia Hematology A rare–1:5000 AD condition characterized by chronic hemolytic anemia with ↑ osmotic fragility and autohemolysis of globose RBC due to various defects in RBC membrane proteins Clinical Infants may be jaundiced; other Sx may be seen in older Pts fatigue, weakness, SOB, anemia, intermittent jaundice, splenomegaly, gallstones, leg ulcers Management Splenectomy. Cf Elliptocytosis. Presence of spherelike red blood cells in the blood. 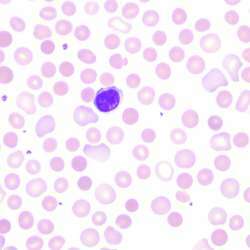 A blood disorder in which the red cells are unusually small and spherical. In hereditary spherocytosis the red cells are fragile and burst easily, causing ANAEMIA. Presence of spheric red blood cells in blood. Aplastic crisis induced by human parvovirus B19 infection as an initial presentation of hereditary spherocytosis. Morinis J, Dutta S, Blanchette V et al: Laparoscopic partial vs total splenectomy in children with hereditary spherocytosis. Other rare causes of spherocytosis include thermal injury, clostridial septicaemia with exotoxaemia, and Wilson's disease, which may present with transient haemolytic anaemia (2). hereditary spherocytosis, hereditary elliptocytosis), enzymopathies (e.
94 Aetiology of anthracycline-induced familial, cardiomyopathy possibly viral trigger Other co-morbidities non Hodgkin's B cell hereditary lymphoma, spherocytosis, childhood epilepsy. Arran was born with a rare blood condition, spherocytosis. Several mutations have been described and many polymorphic variants have been associated to hereditary spherocytosis. Viral-associated haemophagocytosis and elevated serum TNF-alpha with parvovirus-B19related pancytopenia in patients with hereditary spherocytosis. Examples include G6PD deficiency, many of the thalassemias, Tourette syndrome, spherocytosis, Marfan syndrome, and icthyosis vulgaris.